Getting your body into ketosis is one of the best ways to lose weight, increase energy and even improve brain function. The ketogenic diet is one of the most popular food plans out there today, and if you’re ready to jump on the keto train, we’ve got just the post for you. 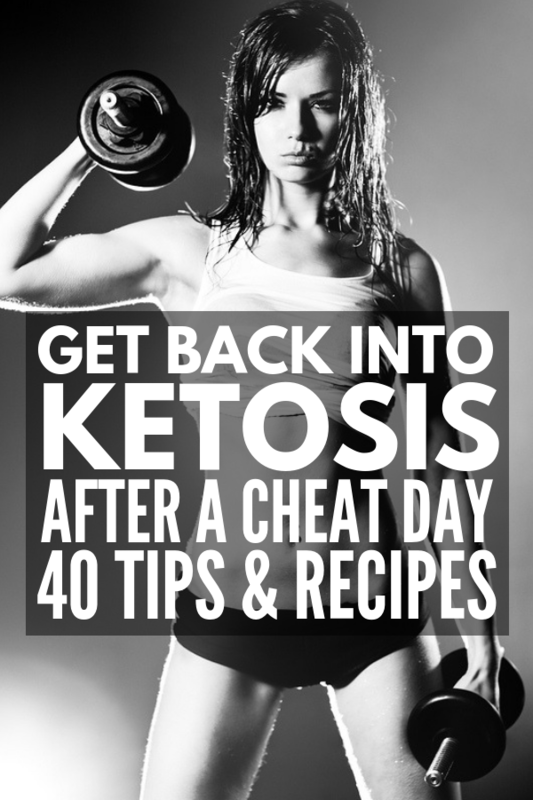 Check out our best keto recipes and tips for how to get into ketosis fast! Ketosis is a metabolic process that occurs naturally in the body. Typically, your body burns glucose for energy, but when it doesn’t have enough glucose, it burns stored fats instead. This produces ketones in the body and kick starts ketosis. When you’re on the keto (or low carb) diet, you minimize your consumption of carbs and only eat moderate amounts of protein, and voila, ketones are formed. When you’re in ketosis, you feel less hungry, are able to control cravings and lose weight. Ketones also supply energy to your brain, making you feel more alert and energized. There are a few signs to look for that will tell you you’re in ketosis. Here are seven things to look for. Bad or fruity smelling breath is a common side effect of ketosis. This is due to elevated ketone levels, specifically acetone, a ketone that exits the body through urine and breath. To help combat bad breath, brush your teeth more often throughout the day. Another sign of ketosis is appetite suppression. You’ll likely notice a decrease in hunger while you’re on the keto diet. If you feel full and notice you don’t need to eat as often as before, it’s a sign that you could be in ketosis. Along with being less hungry, you’ll also start to lose weight in ketosis, which is why many people want to get into ketosis fast. Fast weight loss can occur during the first week when stored carbs and water are being used up. After the first quick drop, you’ll lose weight consistently as long as you follow the keto diet. You may also notice that your focus, concentration and energy increases. When you’re in ketosis, your body starts burning ketones instead of glucose, and ketones are an amazing fuel source for the brain. Getting rid of carbs can also help stabilize blood sugar levels, which also increases focus and brain function. When you first start trying to get into ketosis, you may get symptoms for the “keto flu”. One of these symptoms is weakness and fatigue. Since your body is adapting to a new diet, it’s normal to feel this way, just keep in mind that it will pass once your body gets used to burning fat instead of glucose. You may experience digestive issues such as constipation and diarrhea in the beginning of ketosis since your body is consuming different foods than it is used to. Make sure to eat lots of low carb veggies that are high in fibre such as broccoli, bell peppers, mushrooms and spinach. When you change your diet, your entire system can be a little thrown for a loop. Many people on the keto diet have trouble sleeping in the beginning. This usually improves within a few weeks, so don’t fret if it happens to you when you’re first getting into ketosis. The whole goal of the keto diet is to minimize carbs as much as possible so your body starts burning fat for fuel. In the first two weeks, restrict your carb intake to 20 grams or less per day to ensure you get into ketosis fast. After the first two weeks, you can start gradually adding carbs as long as you maintain ketosis. Since you’re minimizing your carbs so drastically, it’s important you increase your healthy fat intake. Healthy fats like avocados, butter and hummus boost your ketones and help you reach ketosis quickly. Consuming coconut oil can help you get into ketosis fast. It contains fats called MCTs (medium-chain triglycerides), which are taken to the liver and immediately used for energy or converted into ketones. It also contains lauric acid, which has been found to produce a well-sustained level of ketosis. Don’t be too hard on yourself if you have a cheat day while on ketosis. Here are the 2 main things you do to get back into ketosis fast. When you wake up after a cheat day, fasting can help get your body back on track. Your liver needs to be emptied before it can start converting fat into fuel and intermittent fasting is one of the best ways to do that. Don’t fast for any longer than 16-24 hours, but fasting will help deplete your liver glycogen and get you into ketosis fast. Exercising and physical activity can help you get into ketosis after a cheat day. When you work out, you deplete your glycogen stores and drive up ketone levels. Workout right when you wake up as you’ll have carbs from your cheat day to get rid of. And if you plan to fast, you won’t have much energy later in the day. If you’re looking to get started on the keto diet, these are the tips and recipes you need in your life! If you loved this post on how to get into ketosis fast, we’d love if you shared it on Pinterest! And if you want more weight loss tips, please follow our Health Board on Pinterest!